Technology is making a significant contribution toward safer roads. Not only are developments in technology maker vehicles safer, but also increases our ability to measure and evaluate driving behaviour. On the Arrive Alive website, we have information on vehicle telematics and how it is best used in fleet management and logistics as well as in the scientific measurement of driver risk in the insurance industry. In this section, we would like to focus on how dashboard camera recorders can contribute toward safer driving. What is a Dashboard Camera Recorder? A dash cam is a video camera mounted inside a vehicle. Most dash cams record both audio and video continuously. These cameras are sometimes called Digital Video Recorders (DVRs) or In-Car Cameras. All these cameras work in basically the same way. The camera automatically switches on and begins recording as soon as the car engine starts. Some cameras are capable of recording in High Definition and deliver great video quality. Depending on the camera it either has the GPS module installed in the camera or it has an external Module. The speed, driving route and the video are all stored on a Memory card / Micro disc card which you can simply eject from the dashboard camera and plug into your computer via an adapter ( USB or memory card). You must install the supplied software for the particular camera in order to view the details. These dashboard cameras record constantly until their limited flash storage is full, then it is erased and recorded again. If nothing goes awry during the drive, you’re not losing anything important when the video is overwritten. If you end up in an accident, the files can be pulled off the device and saved for possible use later. Dashboard camera recorders can record speed along a specific route and are usually able to plot your exact location via GPS. Some of these dash cams are equipped with infra-red sensors to enable recordings in the dark too. Many of the dashboard cameras come fitted with shock sensors. In the event of a physical shock from an accident, these cameras sense it and automatically store the video shot instead of deleting it. There has been a significant increase in the interest amongst road users globally towards installing dash camera recorders in their cars. The horrific truck crash in Pinetown, captured with a dashboard camera recorder, has also sparked this interest in South Africa. But what may be the reason for the sudden interest? It is important to consider the significant contribution by road users in Russia towards awareness and the tendency towards sharing experiences via social media! Driving camera recorders are used to help stamp out police corruption - the Russian Highway Patrol is known for brutality, corruption, extortion and making an income on bribes. Dash cams are seen as affording some protection from baseless accusations. Hard winters do serious damage to the roads, leading to tough driving conditions and an increase in road crashes on snow and ice. Even a minor crash in Russia often results in accusations, accompanied by a demand for immediate payment and a threat to call the police. The cameras can help cut down on scams where other motorists or pedestrians try to stage car crashes. Ineffective law enforcement has also made it easier for organized crime to make millions from insurance scams. The perpetrators can easily present witnesses that corroborate their version of events. Russian courts have to sort out the he-said-she-said versions of what happened during traffic crashes. Judges rarely accept verbal evidence in these cases. Dashboard cameras with visual evidence do not lie, so they are important for any hope of winning a case. Aggressive drivers are abundant on Russian roads – The dashboard camera recorder may help you when ending up on the receiving end of the battery, road rage or property destruction. In Russia we find a very flexible/ sloppy online content policy – sensors are not cutting video clips with bad injuries, too much blood or other overly violent content. Websites in Russia frequently share the uncut, the horrible accidents–trucks flipping over, people being smashed into pieces and sedans flying up in the air and exploding. They also share footage on reckless driving, near-misses, incidents of road rage etc. and are not censored such as the television stations –making it popular amongst the public! The videos of uncut crashes from these websites find their way to YouTube and links on Facebook and Twitter make them available to us all! A wise man once said, “Look after the facts and the Law/ Justice will look after itself”. The dashboard camera recorder can play an important role as a vehicle telematics device to collect, record and present the facts about driving behaviour! The technology of sending, receiving and storing information via telecommunication devices in conjunction with effecting control on remote objects. The integrated use of telecommunications and informatics, for application in vehicles and with control of vehicles on the move. Telematics includes, but is not limited to Global Positioning System technology integrated with computers and mobile communications technology in automotive navigation systems. Most narrowly, the term refers to the use of such systems within road vehicles, in which case the term vehicle telematics may be used. This use includes emergency warning system for vehicles, GPS navigation, integrated hands-free cell phones, wireless safety communications and automatic driving assistance systems etc. The dashboard camera recorder is capable of supplementing information gathered by these other telematics and tracking devices! When you get into road crash, a dash cam can be the perfect eyewitness and real proof of what took place! Dash-cam footage is the only real way to substantiate your claims in the court of law. They are excellent in the reconstruction of road crashes and establishing what caused the crash. People who drive large SUVs and trucks are often blamed unfairly when they are involved in an accident. Many drivers are also accused of lane hogging, tailgating and other driver behaviours that might have caused a crash. Dash cams are popular among these drivers and may offer proof that they are not at fault. There are some unscrupulous people who will purposely cause a crash then blame the other party. They may try to extort money from the victim or fake injuries to collect payment from insurance companies. Dash-cam video footage can provide the perfect mechanism to stop these fraudsters in their tracks. The dash cam can be a very handy device for the driver who may be falsely accused and confronted for the purposes of soliciting a bribe by a traffic official. Not only will he have evidence of his driving prior to being stopped, but also can the subsequent conversation be recorded. Not only can the company vehicle driver be monitored but everyone else driving your vehicle. You will know exactly how your vehicle was treated by that driver. Dash cams with GPS will even provide the route and speed travelled. In the fleet management and vehicle logistics industry the dashboard camera recorders can contribute towards better management and efficient fleet maintenance. They can be used alongside vehicle tracking systems for effective supervision of speed, driving route and general driving behaviour. They can reveal unnecessary lane changes, poor following distance and many other dangerous driving activities. This can both reduce crashes and costly expenses for vehicle maintenance caused by excessive wear and tear. Parents of teens often worry endlessly about letting their children take their cars out. Many parents tell their teens these days that they need to accept driving with the dash cam on if they really want to take the car out. The camera footage can provide evidence as to whether the teens are responsible behind the wheel. This can also be beneficial when checking up on the au pair driving the kids around! There are many ways to report bad driving nowadays to both transport authorities and fleet managers! Video evidence from a dash cam can be used to report drunk drivers, distracted drivers, dangerous drivers and road rage incidents. The dash cam video provides real proof of what happened. This will also keep drivers alert and responsible when driving with the knowledge that they may be on camera! 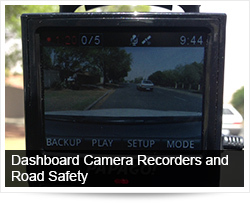 Footage from dashboard camera recorders can be an educational tool and used effectively in driver training. The video is an effective way to show not only the don’ts on the road, but also advise and offer education on how to drive safely. When driving on a very scenic route it is fun to record magical moments, share with friends and family later at home. You can create an awesome road trip video of your holiday travels. It can be very hard for any insurance company to determine who exactly caused an accident. Footage from dashboard camera recorders could be useful to support an insurance claim and to apportion blame after a collision between vehicles. Insurance companies could begin to offer discounts to dash cam-equipped cars similar to discounts offered when vehicles have tracking devices installed. We could soon find the development of insurance products linked to having a video camera in your car. In fact, dash cam material can significantly reduce claim-processing time for insurers since claim adjudicators can find out the truth much faster. Pay-as-you-drive insurance is already being successfully offered by several insurers. Pay-as-you-drive insurance calculates premiums according to an individual’s driving behaviour, rewarding secure driving while tracking and increasing insurance costs on dangerous driving styles. A “black box” device installed in the vehicle tracks key parameters of the journey and transfers the data to the insurer, who then regulates the premium rate. Dashcam is a logical extension of this insurance that can complement it with more data and insight. Some industry experts refer to this as possible “pay as you tape” insurance products! Should data privacy a concern in this case? This should not be the case when used in your vehicle, as long as the video stays with the car and is not transmitted elsewhere. At the moment most dash cams use a memory card which is constantly being re-written since the video is recorded in a loop. This results in only the last few hours or days of the video available (depending on memory card's size). We are already being monitored by CCTV cameras all around us - if you do nothing wrong - you should have nothing to fear! Finding a high-quality dashboard camera – what do I need to focus on? The technology running dashboard cameras have become very affordable –one of the reasons for the increase in availability and popularity! Buying a dashboard camera can be a small expense that can conceivably save thousands in the event of a crash. This is usually the first criteria. When purchasing a dash cam, it is important to get one that shoots in high definition (720p or 1080p). It is important to have a camera that is “discreet”. This can be defined as being of small size, mountable behind the rear view mirror. Also, consider colour. Black is the least noticeable colour for a dash cam and often blends in with the rearview mirror. Consider the importance of not merely adding another device that may be a driver distraction! Search for references and testimonials from other users. If many users are having serious problems with a dash cam (sensor burning, blurry picture, recording hangs) it is advisable to look elsewhere. Look for cameras that can withstand high temperatures, especially if you will be using the dash cam in parking mode. The higher-end models may include very handy features such as speed camera warnings, lane diversion warnings and warnings on following distance! 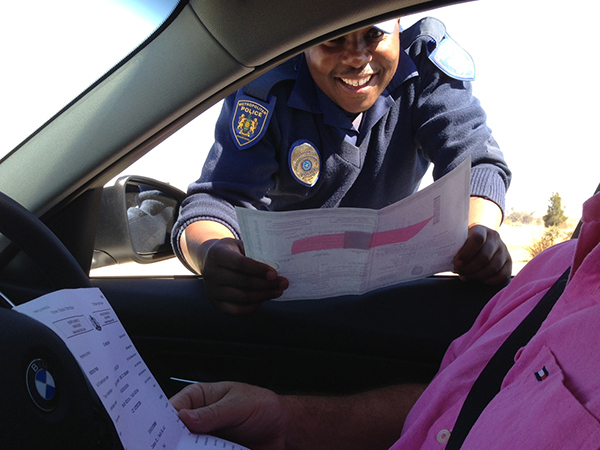 With so much lawlessness on our roads, we need to do what we can to be safe and to protect ourselves from criminality. These crimes are often not only the reckless driving from those around us but also the threat of being exploited by fraudsters and corrupt road users and officials. We can expect to see many more drivers using dashboard camera recorders for this additional protection!